AppInventiv is the Top mobile app development company, it has been ranked among the top development companies creating various consumer apps. Having completed more than 230 mobile applications, more than 100 creative inventors, more than 35 app and more than 10 projects funded in a short span of time, AppInventiv has made a mark globally by developing the best mobile apps in the industry including enterprise, navigation, healthcare, augmented reality, finance, wearables, mobile computing, retail and others. We combine an agile approach with ground-breaking tools for project management, development, designing and testing to deliver optimized, innovative and cost-effective mobile solutions. Our industry technical expertise, apparent methodology, an experienced and dedicated team of more than 120+ mobile consultants has helped us deliver mobile solutions that suits specific business needs, offer critical business benefits and subside transformation. The company is Top android app development company and believes in quality of work and customer satisfaction, hence we offer a set of flexible pricing models to our customers. So that they can select the best as per their business requirements. 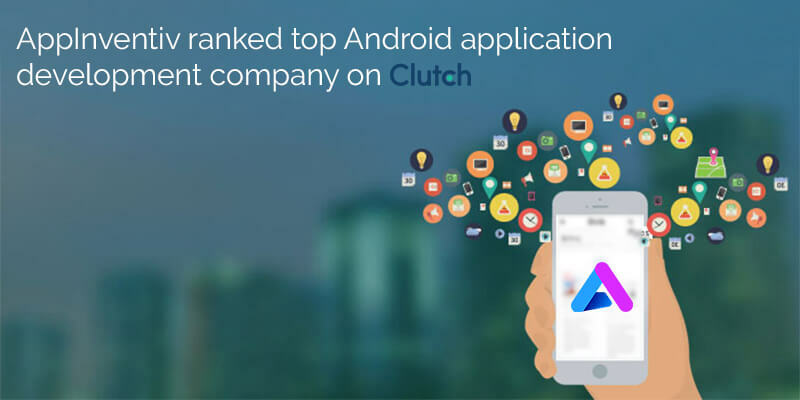 The best thing about Clutch rankings is that they are purely research based that involves evaluating companies on quality of delivery, project management, client satisfaction, innovation, cost-effectiveness, adherence to market trends, budget-to-value and testimonials. Our proficient mobile app developers have expertise and experience of developing critical, data and performance-centric mobile apps by using latest technologies and platforms. We are capable of giving shape to amazing user-interfaces that will comply to the standards of technology today. Our team of experts have helped startups to excel and has become one of the best apps in their respective area. Our Android developer team is proficient in building user-centric android applications, rigorously testing on a simulator, and porting to various mobile devices. We excel in providing end to end android application development services tailored to your business needs to help you with a rich, user-centric consumer app that empowers your business and maximizes profit. “Why Choose AppInventiv as Your Android App Development Partner?,�?